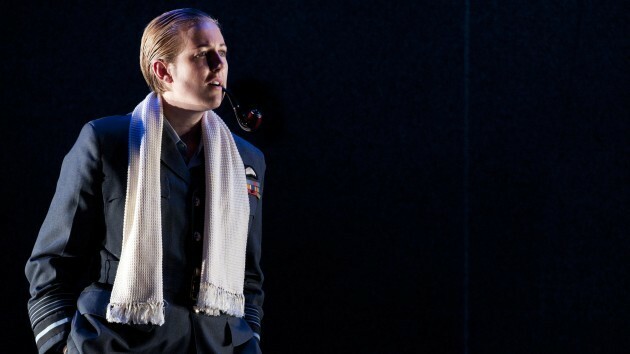 Fun and games at the latest production from English Touring Opera, Handel’s Xerxes. This has been reimagined as a Second World War drama, apparently inspired by The Dam Busters. Some confusion about the aircraft they flew, however, with a Spitfire on stage, rather than a Lancaster. But no matter – Xerxes sings the famous aria “Ombra mai fu” to the Spitfire before sending it off to fight in his continental campaign. According to the Guardian, his brother and rival Arsamenes is based on Guy Gibson, Ariodates is Barnes Wallis and the Hellespont becomes the Ruhr Dams. The Independent’s critic swooned over the performance of Julia Riley (that’s her above) in the title role – “no praise can be too high” for her – and said that Covent Garden “would count itself lucky to host a Baroque show of this calibre”. The show is touring in London, Buxton, Cambridge, Lincoln (how apt! ), Harrogate, Aldeburgh, Exeter and Malvern from now until 25 November, so if you get a chance to see it, go along!